2. 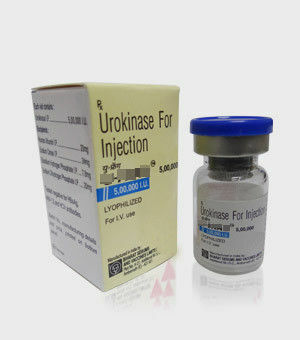 Component: This article main ingredients for urokinase. 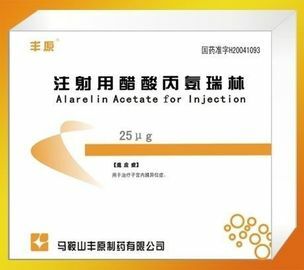 Accessories: human blood albumin, dextran 20, sodium dihydrogen phosphate, disodium hydrogen phosphate, sodium chloride. 4. 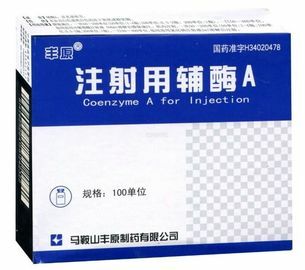 Indications: This product is mainly used for thrombolysis treatment of thromboembolic disorders.Acute diffuse pulmonary embolism, including chest pain 6-12 hours and myocardial infarction, coronary artery embolism symptom of shorter than 3-6 hours of acute cerebral embolism, retinal artery embolism and other symptoms of severe peripheral arterial embolism skeletons - femoral vein thrombosis.Artificial heart valve is also used to prevent thrombosis after the operation, keep blood vessels, and chest intubation and pericardial cavity drainage tube patency, etc.The curative effect of thrombolysis for subsequent heparin anticoagulation to maintain them. 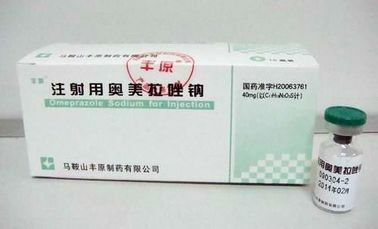 This product should be in before use for injection sterilized saline or 5% glucose solution preparation. 1. 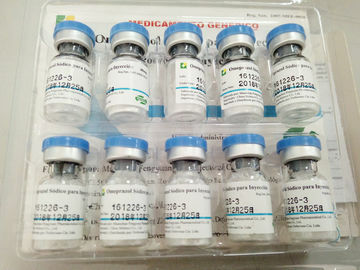 Pulmonary embolism First dose according to unit weight 4400 / kg, with 0.9% sodium chloride solution or 5% glucose solution preparation, with 90 ml/h speed drops down in ten minutes;After dosing rate of 4400 units per hour, continuous intravenous drip for 2 hours or 12 hours.Pulmonary embolism, also can be unit 15000 per kilogram of body weight in 0.9% sodium chloride solution preparation within the pulmonary artery injection;When necessary, the dose can be adjusted according to situation, 24 hours interval repeat, using no more than three times. 2. 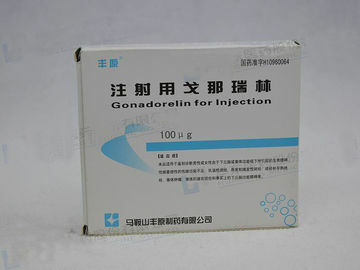 Suggestions after using 0.9% sodium chloride solution, according to the 6000 units/speed within the coronary arteries for 2 hours, drip drip before should first intravenous heparin unit 2500-10000.This product will also be 2 million - 3 million units after intravenous drip, drip off 45 minutes to 90 minutes. 3. Peripheral arterial thrombosis configuration of this product with 0.9% sodium chloride solution concentration (2500 units/ml) of 4000 units/min speed transcatheter injection of blood clots.Clip catheter 1 every 2 hours;Adjustable drip into the rate of 1000 units per minute, until it dissolves blood clots. 4. The postoperative thrombosis prevention and treatment of heart valve replacement Thrombosis is one of the most common complication of cardiac valvular surgery.Available this product according to the 4400 units/kg, 0.9% sodium chloride solution drip off after 10 minutes to 15 minutes.Then according to the 4400 units/kg per hour the speed of the intravenous drip to maintain.When the valve function is normal after stopping medication namely;If still invalid 24 hours or serious bleeding tendency should be stopped. 5. Pyothorax or pericardium empyema commonly used antibiotics and purulent fluid drainage treatment.Drainage tube often form fibrin clot and block the drainage tube.At this point but pleural or pericardial cavity injection sterilizing water for injection preparation of this product (concentration of 5000 units/ml) 10000 units to 250000 units.Both can keep the drainage tube patency, and can prevent pleural or pericardial adhesion or form a narrowing of the pericardium. 6. Application of ophthalmology Used for dissolving intraocular hemorrhage caused by anterior chamber blood clots.Make blood clot disruption, which is beneficial to surgery.Often amount to 5000 units of the anterior chamber is washed with 2 ml of 0.9% sodium chloride solution preparation. 7. 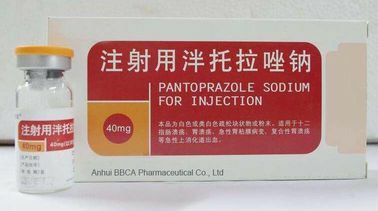 Contraindications: Patients to disable this product in the following circumstances: acute internal hemorrhage, acute intracranial hemorrhage, pulmonary cerebral infarction, nearly two months have had intracranial and spinal cord of local or aneurysm, arteriovenous fistula operation, intracranial tumor, abnormal blood coagulation, severe difficult control of hypertension. Relative contraindications include prolonged CPR, severe hypertension, the trauma of nearly four weeks, three weeks after the operation or tissue biopsy, pregnancy, childbirth, activity in 10 days, canker and severe liver disease. 8. Pharmacological mechanisms: This product in pharmacokinetic characteristics in the human body has not been fully elucidated.This vein to the liver after rapid removal, plasma half-life ≦ 20 minutes.A small amount of drugs by bile and urine.Patients with cirrhosis of the liver and liver function damage to extend its half-life. 9. Storage: Shading, airtight, preserved in under 10 ° C.